Top Universities in Singapore 2019: Singapore, a small city-state situated in the strait of Malacca island is big in imparting world class education. Though only three in number, the top universities in Singapore have dominated the world rankings. Indian students have found study in Singapore to be one the most preferred education and immigration hotspots, owing to its proximity and excellent career opportunities. The higher education system as well as the work opportunities has also been attracting a international aspirants from all over the world. The national University of Singapore(NUS) and the Nanyang Technological University(NTU) has maintained their presence in the 100 top universities in the world in both QS and Times Higher Education University Rankings 2019. While National University of Singapore has maintained previous position in the QS ranking, NTU moved up three places and now ranks at number 12. In the THE ranking table 2019, NUS has lost its 22 position and is ranked at 23, NTU on the other hand improved one position and features at 51. In the ARWU rankings 2019, NUS has improved by 6 places and now ranks at 85, while NTU lost its 96th position and now ranks between 101-150. Singapore Management University is the only other institution from Singapore to have made it to the QS rankings. Both the top universities in Singapore, National University of Singapore and Nanyang Technological University are also among the top universities in Asia. NUS is ranked number 1 and NTU is ranked at number 3 respectively in the QS Asian University rankings. 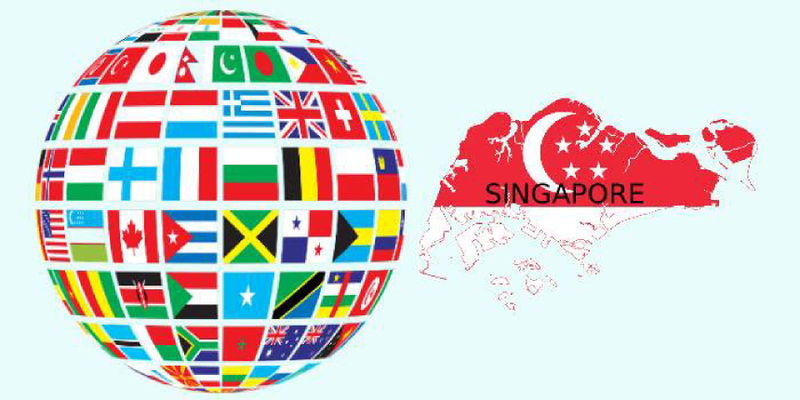 Students from all over the world have aspired to study in Singapore. Careers360 has compiled a list of the top universities in Singapore 2019 conducted by three major ranking engines viz. Times Higher Education (THE), Quacquarelli Symonds (QS), and Academic Ranking of World Universities (ARWU). Singapore Admission and visa basics - Know all about Singapore Admission and visa basics guidelines.